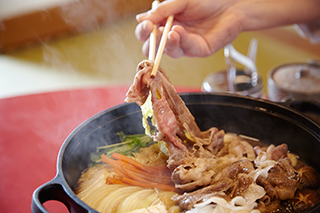 The term ‘nabe’ applies to foods –usually meat and vegetables – cooked in a communal pot and served at the table. Traditionally, it was a farmhouse fare where the large pot was kept warm over an irori (hearth) that was usually the centre of the house. It remains a popular dish to be savoured over the colder months, when friends and family would come together at restaurants or even homes. 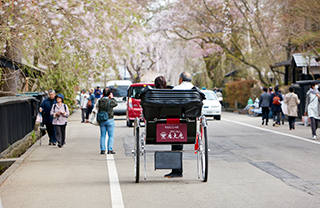 Each diner is usually assigned a role – someone monitors the heat, another may scrape the froth off of the top – which makes nabe a great dish to bring people together. 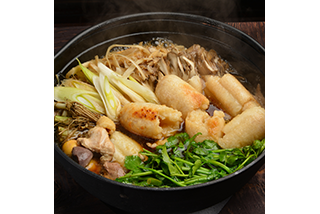 Although many of us imagine nabe to be clay pots stuffed with meat and vegetables simmering in soup, it actually encompasses anything cooked and eaten straight out of the pot. This includes dishes like shabu shabu and sukiyaki. 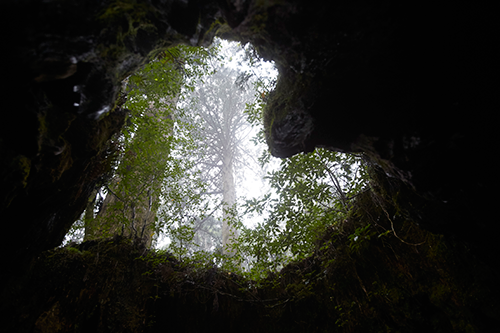 There are countless other versions of nabe available across Japan, depending on the region. There’s crab nabe in Hokkaido, sumo-style Chanko nabe in Tokyo, and even hotpot that you specifically eat in a snow igloo. You can also expect modern versions like kimchi nabe, collagen nabe, or even cheese nabe. Usually for all nabe dishes, noodles (or sometimes rice) are added into the pot at the end of the meal to soak up all the goodness. 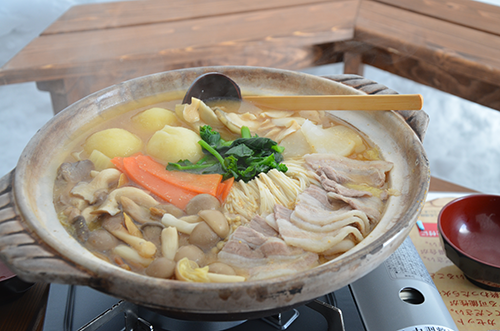 A nabe meal is often served with rice, with the cooked ingredients dipped in sauce (called tare) before eating. Most nabe ingredients (seafood and meat) go well with tangy ponzu dipping sauce, which can be described as a mix of soy sauce and yuzu. The thicker sesame sauce (gomadare) goes well with shabu shabu and brings out the sweetness of vegetables. You may also find other sauces like miso which goes well with pork, and since there is no rule for dipping sauces, you can also add some condiments, or yakumi, like scallions, ginger, wasabi, garlic, or radish into soy sauce to create your own flavours. For instance, soy sauce can be added with grated ginger for seafood, or with grated radish (oroshi) to aid the digestion of oilier foods. You can also add spice to your sauce – there’s rayu (chilli oil) and also momiji oroshi (grated radish with chilli) – or you can even sprinkle some shichimi-togarashi (flavoured chili pepper) into the broth. 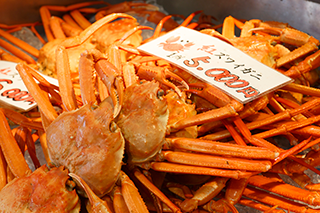 Hokkaido is famous for its crabs, especially during winter, and boast several premium varieties including tarabagani (king crab), zuwaigani (snow crab), and kegani (horsehair crab). While they can be savoured in many different preparations, the best way to really enjoy the sweet, briny flavour when the weather turns cold is kanishabu – a crab steamboat where you swish the crab (either with or without the shell) in a boiling pot of clear broth. 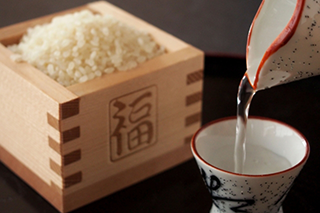 After the meal, rice is added into the soup to make kani zosui – a porridge dish with beaten egg added to it. 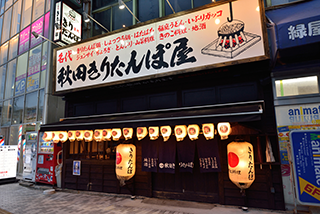 Established in 1964, Hyousetsu no Mon is considered the first king crab specialty restaurant in Japan. 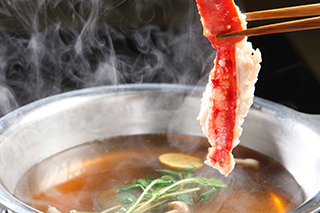 Their popular menu is an original kanishabu featuring king crab and snowcrab. Since they serve large-sized crabs, it’s recommended to swish the meat in the pot for about 2 minutes for a richer flavour, since the broth itself uses crab stock. 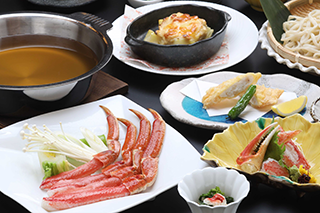 You can indulge in the Hyosetsu three-crab course, with each crab prepared in a different style (grilled, steamed, hotpot). 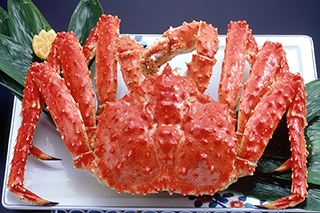 They have kanishabu set courses with snow crab or king crab, as well as a la carte kanishabu of both types of crab. At the end of the meal, add udon or rice (served with any course meal) to soak up the rich flavour. 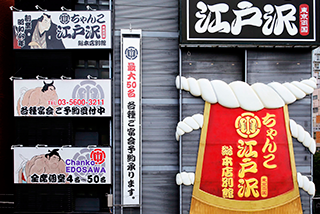 The best place to learn about the sumo culture is in a suburb of Tokyo called Ryogoku, where there’s a sumo stadium, numerous training stables, as well as plenty of restaurants serving a sumo staple: chanko nabe. 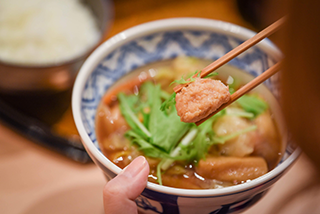 Sumo wrestlers eat this stew up to twice a day, since it’s a relatively healthy protein-rich dish – usually containing pork and chicken meat – filled with vegetables. The chanko is normally prepared by the younger members of the stable, and the meal is shared among everybody, from master to pupil. 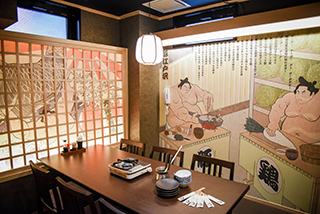 So it’s no surprise that when sumo wrestlers retire, some set up chanko nabe restaurants – since every stable has their own special recipe, you can sample an authentic recipe at each restaurant. Depending on the chef, chanko recipes vary wildly, ranging from traditional soy or miso broth to cheese or even kimchi ones. At Edosawa Ryogoku, the soup base is made with salt and chicken stock. The restaurant has multiple rooms, ranging from cosy 4-seaters to large banquet rooms and even bar seating. 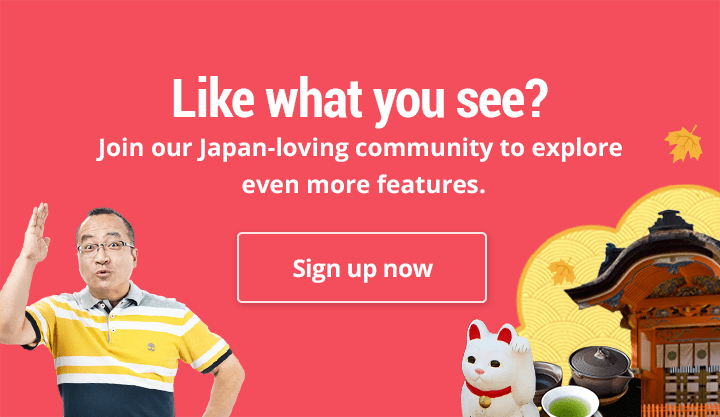 Typically, their chanko nabe course meal would include a pot of nabe, served with sashimi and a large variety of appetisers, plus freeflow drinks. 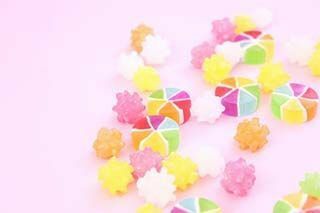 Their current online coupon promo gets you discounts when presented at the restaurant – for example, their Manpuku Edosawa Course (8 items) and freeflow drinks goes for 5,000 yen (usually 6,000 yen). Price: Coupons available for all course meals. Edosawa Chanko Course from 5,000 yen (including all-you-can-drink); Chanko Nabe Lunch Course (plus all-you-can-drink for 2 hours) 3,580 yen. A minimum order for 2 people is applicable for all chanko nabe courses. 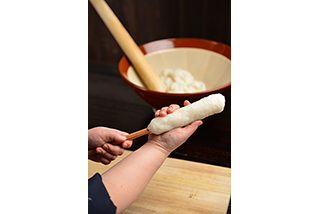 Akita’s representative food is most likely kiritanpo, which is basically ricecake that resembles a spearhead (‘tanpo’ refers to a cotton wrap that samurai-in-training used on their spears). 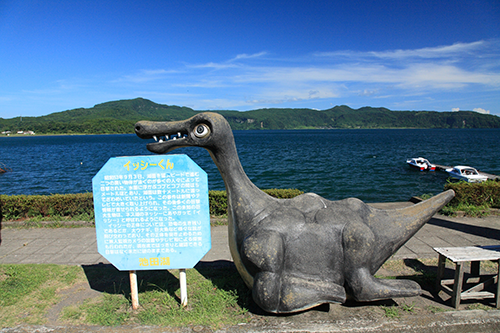 Originally a portable snack for woodcutters and hunters, kiritanpo was normally eaten from September to late March for the harvest season. The best way to enjoy it is as nabekko (hotpot), where kiritanpo is added to a pot of broth (either soy or miso) together with locally-raised chicken (called hinai-zidori), mushrooms, and other vegetables. 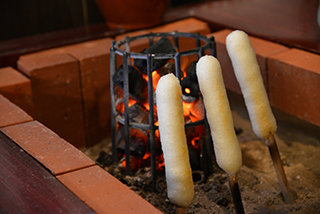 Kiritanpoya, located next to Akita JR Station, is probably the most famous place to enjoy kiritanpo nabe; the rustic restaurant is filled with traditional farming tools at its entrance, and there’s even an irori (hearth) where kiritanpo sticks are cooked. The nabe is served as a set meal, which comes with all the traditional ingredients, and best paired with local sake (the restaurant has an extensive list). They also have course set lunches which include a small pot of kiritanpo. 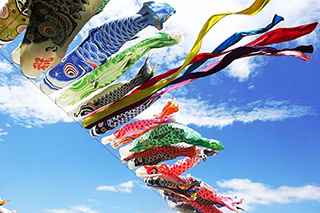 Buri (yellowtail) is a large fish that is very popular in winter, especially those that are caught in Toyama Bay because during this time they are at their fattiest, since they’re also in their pre-spawning phase. 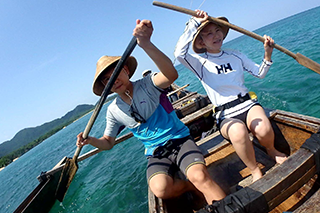 Caught using fixed fishing nets, the freshest place to sample kanburi (it’s called kanburi when it’s caught in winter) is in the coastal town of Himi where they are caught just offshore. There are plenty of restaurants in Himi where you can try some kanburi. 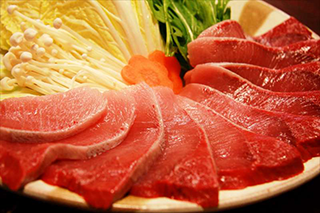 While you can enjoy high-grade kanburi as raw sashimi, it can feel rather heavy on the stomach because of its fatty content. 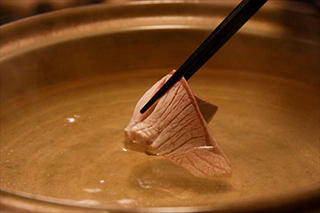 Hence the best way to enjoy the fish is as burishabu, where thinly-sliced fish is quickly dipped in a special broth (dashi-jiru) and then dipped in ponzu sauce (made with soy sauce and yuzu). Normally served with fresh vegetables, this cooking method enriches the flavour, and makes it gentle on the stomach. Banya Ryori Himi Hama is a famous restaurant to try kanburi; thanks to its location near Himi fishing harbour, the fish are bought fresh from each day’s catch. 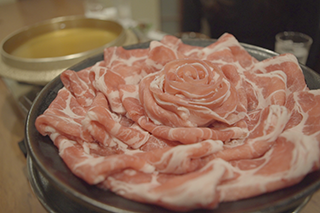 Their burishabu course meal is only served in winter, and includes other dishes featuring yellowtail like sashimi and buri daikon, which is radish simmered with kanburi in dark sauce. Price: Market price (reservations recommended); average price is 10,800 yen/person with minimum order of two persons. 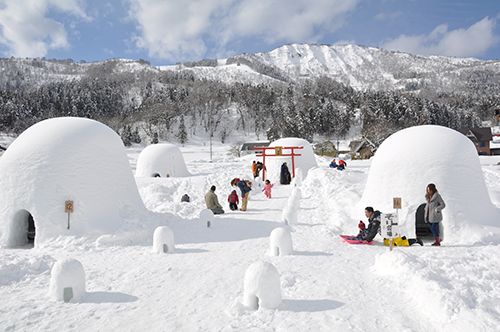 One of the most unique Japanese winter celebrations is the kamakura snow festival, during which locals build igloo-like snow houses called kamakura to celebrate the season. 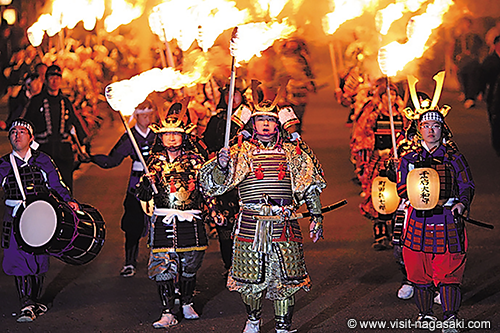 Nagano’s Iiyama City hosts the snow festival every year between January and February; during this period, there are carnivals, fire dances, and fireworks, but the main attraction is the Iiyama Snow Hut Village. The village consists of around 20 igloos that are made of snow, and are open for one month. At night, the huts are illuminated by lanterns, creating a beautiful fairytale-like atmosphere. 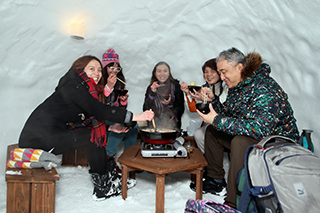 Not only can you visit the village, you can also enjoy a piping hot bowl of Noroshi Nabe – right inside these igloos! 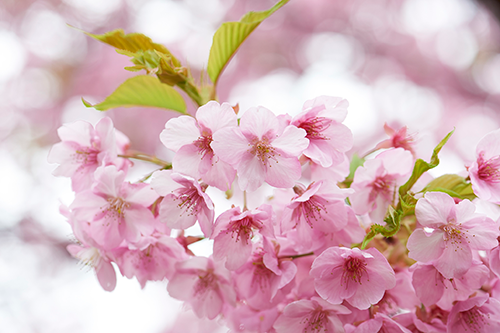 The name ‘Noroshi’ was inspired by signal fires – called noroshi – that were used by the local Daimyo over 600 years ago. 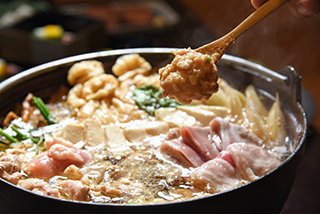 The nabe is made with a Nagano miso base, and features Iiyama’s ‘Miyuki Pork’, as well as locally-grown vegetables and mushrooms, and served with rice-balls. 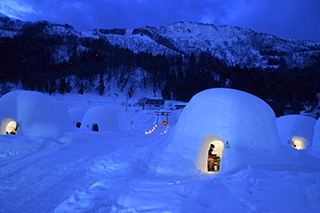 These igloos – called Restaurant Kamakura Village – are open for both lunch and dinner, and bookings are essential (reception is open from 1 December). The next village will open from 25 January to 28 February, 2019.